Leading into 2017, we have high carcass weights as well as low female cattle slaughter. In the year ahead, we are expecting much of the same but what else is going to happen in 2017? Today, we will be taking a look through the cattle projections in Australia for this year. 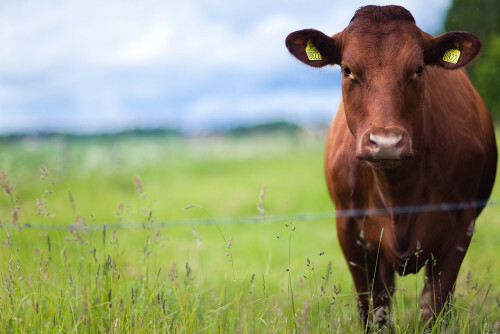 Earlier in the year, it was expected that just over seven million cattle would be slaughtered and recent reports suggest that this was accurate (although we can’t be sure just yet). Currently, there is significant supply pressure but the heavier carcasses are said to be the first step of alleviating this pressure. As a result, we are expecting a small decrease (1%) in beef and veal production compared to the same time period last year. In terms of the weather, this plays a huge role in the cattle market and we saw good rainfall towards the end of 2016 and into the New Year. With this, it has re-energised the cattle market and prices have increased in the first couple of months of 2017. However, the pressure will come back around as we move towards the middle of the year as national herd numbers slowly increase. In addition to this, the conditions globally are also softer than we would like which means that the seasonal decline will come around as expected. Just recently, we saw the release of the ‘April Update’ from Meat and Livestock Australia (MLA) and it this is where much of the information above originated. As we start to get comfortable with the second quarter, the floods in New South Wales and Queensland have severely reduced the expected slaughter. However, experts believe that this could recover towards the end of May and into June as mustering cattle become accessible. When it comes to shipment to the other large markets, these were quite mixed in the first quarter and they actually reflected the competition and production we are currently seeing at home. On a global scale, the largest market still remains as Japan and they witnessed a 22% increase in the amount of shipments made. Thanks to replenished domestic production, the US reduced their interest by around 27%. Furthermore, the amount of shipments reaching Korea fell by almost one-fifth compared to last year. For our exports to China, a 4% growth figure was seen. Within the report, we can also see the projected figures right up until 2021 and this will be interesting viewing to see how close to accurate they prove to be. For slaughtering, the MLA has predicted an increase of one million by 2021 up to 8,100,000. For average carcass weight, this will increase by around three kilograms whilst beef production will rise by 200,000 tonnes. Looking globally, imports are widely expected to remain stable over the next four years whilst exports see a boost of 18%. As mentioned, these are just predictions so far but it certainly makes for interesting reading for the next few years!